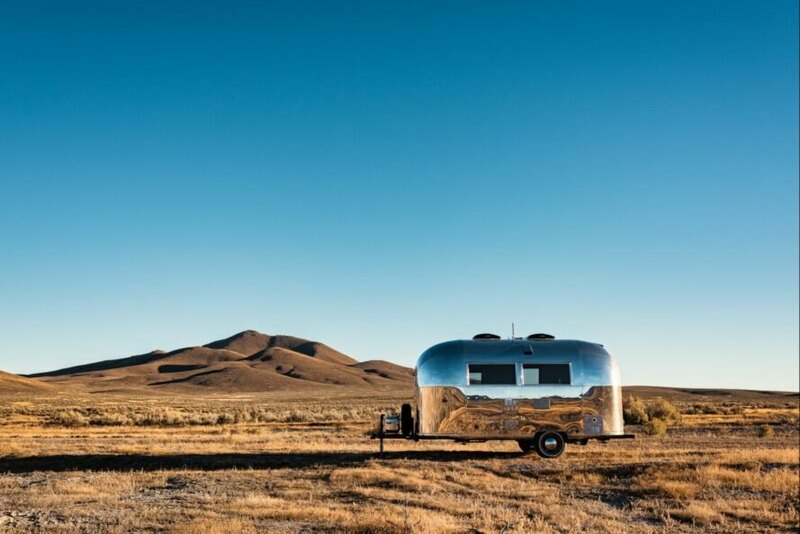 When a busy tech entrepreneur contacted San Francisco-based firm Edmonds + Lee Architects to create a mobile office that could keep him on the road, they turned to an American classic, a shimmery Airstream. 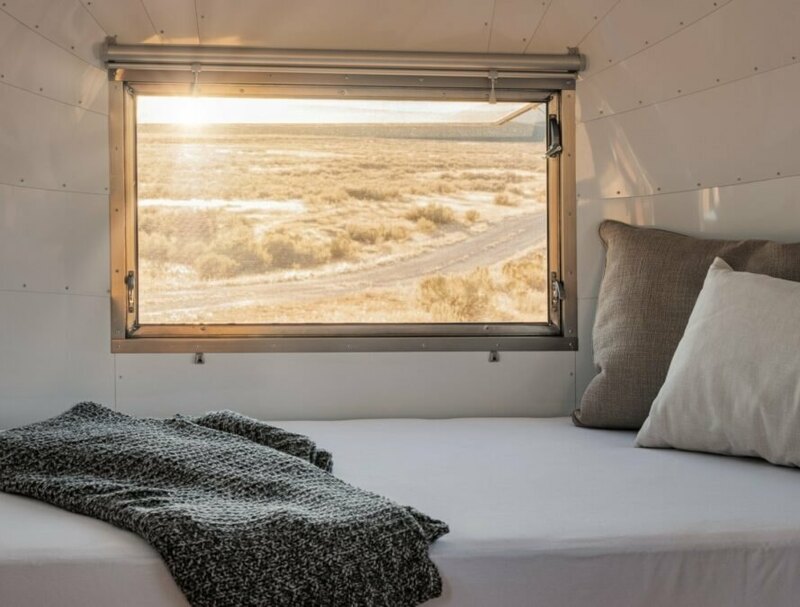 After searching for a year for just the right trailer, they found a 1960s Airstream Bambi II and converted it into a brilliant 80-square-foot office on wheels, lovingly renamed Kugelschiff (German for “Bullet Ship”). The architects worked closely with the client Jeff as well as his daughter Alaina, an industrial designer who is a proponent of sustainable design, to meet his specific needs. The first step was finding a trailer that would be a good fit with Jeff’s active lifestyle. To make his working time as convenient as possible, the mobile office had to be fully connected so he could be in touch from any location, no matter how remote. 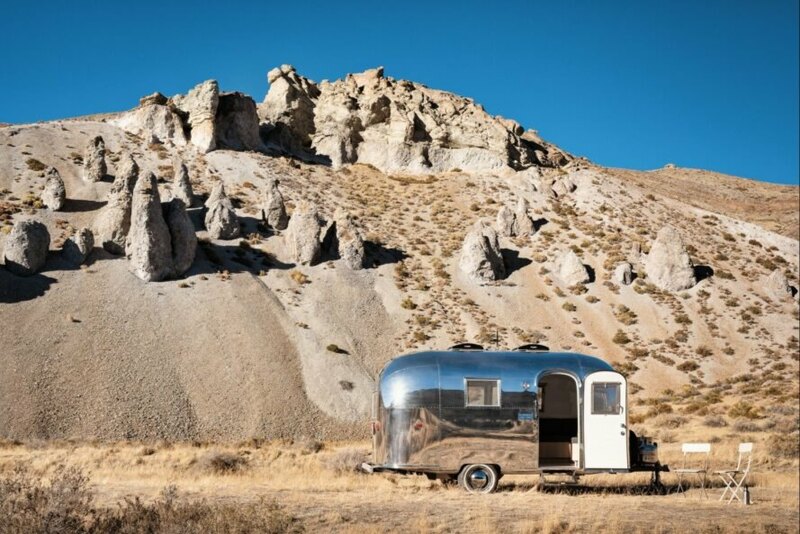 After a year of searching, the team came upon a surprising find, an incredibly rare Airstream Bambi II. Airstream produced only one of these models a year during the 1960s, making it one of the rarest trailers in the world. Once in Jeff’s hands, the architects got to work renovating the old model. Still in good shape structurally, they set about creating a space that would work as both an office and a retreat. Clad in all-white walls, ash wood floors and oak cabinetry, the interior living space is bright and minimalist. 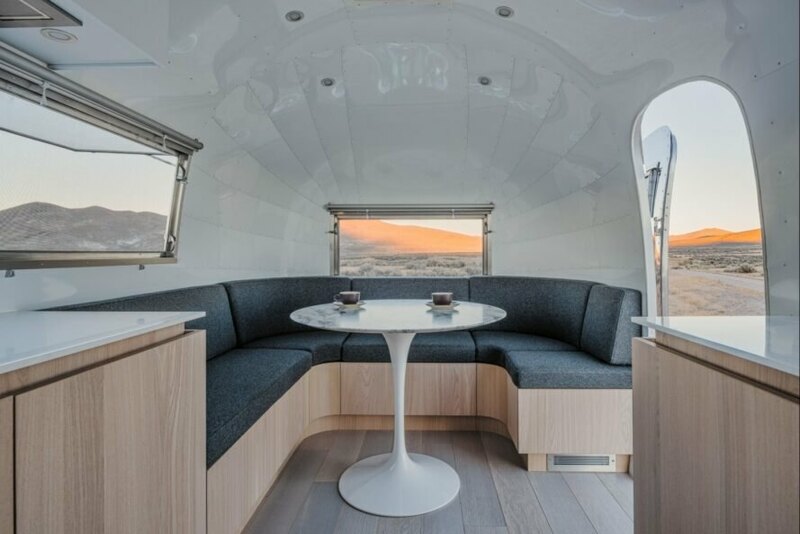 The furniture in the Airstream is flexible to add space to the compact interior. Using a puzzle method, the designers custom-made furniture with dual uses. For example, one end of the interior is outfitted with a wrap-around sofa that goes from dining space to meeting space in the blink of an eye. The kitchen is equipped with a hidden sink and refrigerator that can be concealed into the wall. Even the main working desk gets pushed down into a bed, which sits next to a large window that allows natural light to filter into the trailer. 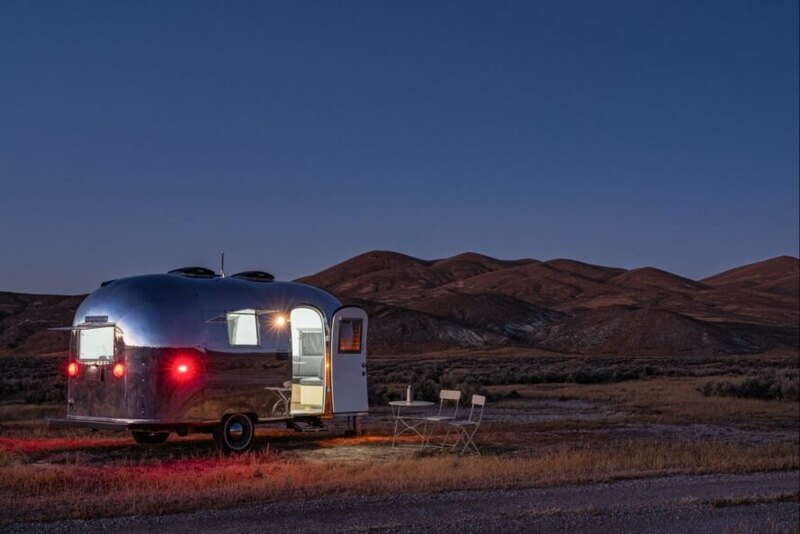 Additionally, the Airstream conversion included a number of energy sources, such as solar power. However, with Jeff’s need to be connected at all times, the power also runs on traditional DC batteries. It has both a Wi-Fi repeater and a cellular booster, so he’s always connected, no matter where he may be parked. The home device company Nest help set up the rest of the trailer’s smart home products, which are all controlled by Google Home. 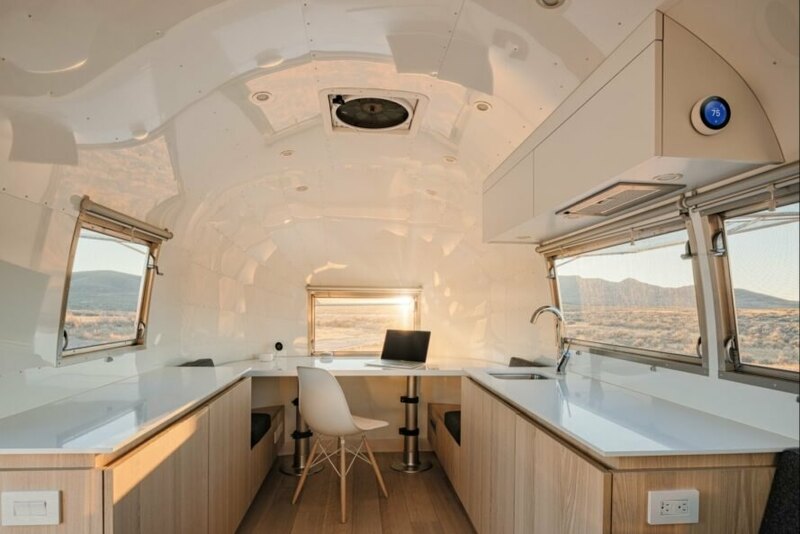 Edmonds + Lee Architects converted a 1960s Airstream trailer into a mobile office. The compact trailer is now the roaming office for a businessman who loves active travel. The design was customized to the client's needs. The office had to be both functional and comfortable. A minimalist interior is bright and welcoming. Flexible furniture gives the office versatility. The work desk transforms into a bed in just the blink of an eye. A scattering of windows allows Jeff to enjoy changing scenery, bright sunrises and colorful sunsets. The mobile office is equipped with solar power along with traditional DC batteries.